Oxford Art Online is a gateway offering users the ability to access and search the vast content of Grove Art Online and other Oxford art reference resources in one location. Examples of Baroque buildings, Wikipedia entries. Wikipedia entry on Baroque architecture. Baroque buildings, an online gallery from Great Buildings Online. Dutch and Flemish Painting 16th-17th centuries. National Gallery (London) collection of sixteenth-century paintings. A description with illustrated samples by Caravaggio and Annibale Carracci. Wikipedia entry on Baroque art. Gian Lorenzo Bernini, Wikipedia entry. Bernini. Web Gallery of Art. Article with illustrated examples. S. Carlo Alle Quattro Fontane, Rome. Bruegel. Artworks showing in art museums. Domenichino Zampieri Online, a list of art museums displaying works of art by Zampieri. Claude Lorrain paintings in art museums. Claude Lorrain. WikiArt image gallery. Nicolas Poussin. WikiArt image gallery. 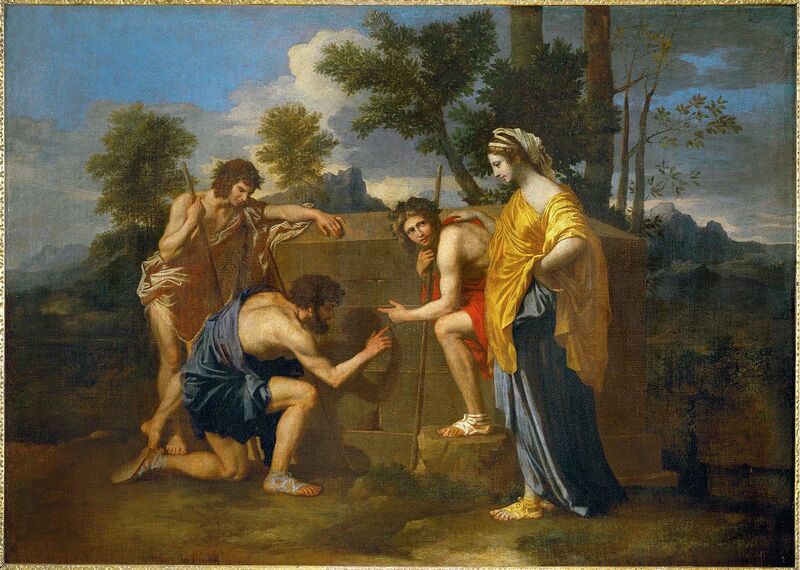 Nicolas Poussin. The National Gallery of Art, Washington D.C.
Rembrandt van Rijn. Art museums displaying works by Rembrandt. Rembrandt paintings on display in Amsterdam. Guido Reni. The Web Gallery of Art, image collection. Salvator Rosa. The Web Gallery of Art, image collection. Peter Paul Rubens. Wikipedia entry. Peter Paul Rubens. Art museums.